You have heard about embryonic stem cells (ESC) in the news. Their ability to become and repair virtually any cell type has inspired great expectations. But serious issues - such as growing embryos for harvesting ESC - have encumbered embryonic stem cell research. Adult stem cells (ASC), the stem cells present in the body after birth and in your body right now, also have the ability of becoming virtually any cell type of the body. However, as we age the amount of ASC produced by the body decreases considerably. But there is good news. Research has produced smart plant-derived "smart" ASCs that also zero in on those body tissues that need healing. Adult Stem Cells also detect any threat to the immune system (bacteria, viruses etc.) and immediately organize defense strategies. Research indicates Adult Stem Cells help regenerate and rejuvenate the body of the ill and the healthy. Stem Cells can - form cartilage, bone, liver, skin, digestive tract cells, participate in the generation of new neurons within the human brain, assist in the removal of retinal, muscle, and cartilage tissues, improve nerve conduction velocities, induce renewal of the pancreas and kidneys, renew cardiac tissue and improve cardiac performance, aid in the renewal of lung tissues, reduce inflammation, and more. I have practiced traditional medicine for 24 years and got involved in alternative medicine as I wanted to do more than treat symptoms. I decided to try stem cell nutrition myself. i had severe arthritis in my fingers along with diabetes. My fingers move freely now, and I have been able to stop taking diabetic medicine because my blood sugar levels have stabilized. Many scars have also disappeared. One of my patients had a persistent leg ulcer. She was also blind in one eye and had lost 40% of her vision in the other eye. Her leg began to heal after she started taking stem cell nutrition, and her vision improved to the point where she can watch T.V. and even read. We at Unique Fitness use Goji Berry Extract for this Stem Cell Nutrition. The Goji Berry is one of the few foods to contain all 8 glyconutrients. These glyconutrients are used in the body to synthesize stem cells. We have all heard about antibiotic-resistant super bugs like MRSA, C-diff, or VRE. They can be deadly. Catching a hospital infection is a serious risk, especially when medical bureaucrats are hell bent on enforcing vaccinations and other objectionable dictates, from the cradle to the grave, while ignoring the fact that aggressive antibiotic therapy helped create this problem. Every year, MRSA becomes invasive in about 90,000 people, resulting in 20,000 deaths. One of the major problems with antibiotics is that they disrupt the body's good bacteria. Even establishment sources say that such damage may be permanent and may be the cause for many other health maladies. Antibiotic resistance is a multi-factor problem, with overuse of antibiotics being the main one. Five out of six Americans are prescribed antibiotics each year and studies have consistently shown that a lot of antibiotic use is unnecessary. For instance, big agricultural practices involve heavy antibiotic use. More than 70% of the antibiotics sold in the U.S. goes to chickens, pigs, cows, and other animals that people eat, yet producers of meat and poultry are not required to how they use the drugs, on what animals and in what quantities. The National Resource Defense Council stated that Obama's plan "continues to allow the routine feeding of antibiotics to industrial feed lot animals. One therapy called "phage therapy," is being largely ignored or minimized, despite the fact that it has shown great promise is Eastern Europe. Phage therapy is a viable non-antibiotic treatment for bacterial infections. Advantages are that the body's normal gut bacteria aren't killed off and the risk of secondary infections is slight. Another way to curb super bugs would be to implement robot ultraviolet light technology. Dr. Joanne Levine of Cooley Dickinson Hospital noted, "We were able to reduce C-diff infections by 53%, which is huge." What can we do to protect ourselves? Dr. Morton Walker, author of Olive Leaf Extract: Nature's Antibiotic, cited olive leaf extract as a great alternative to to antibiotics. "Olive leaf extract is the first anti-microbial product that exists in the market today. It's a marvelous substitute for antibiotics that are no longer working. Do you know that we have only one antibiotic left, vancomycin, and now it is no longer functioning because staphylococcus and streptococcus - two very serious hospital infections - have become resistant? The only thing I can see that does work is olive leaf extract. "Drawing upon hundreds of published studies in the Yale Medical School Library, Walker discovered a goldmine of research studies supporting olive leaf extract. Probiotics are vital as well. The preferred strain is bacillus coagulans, because it is virtually indestructible and has been tested in many published studies in Japan for decades. Vitamin C is also important for immunity. Peppers (chili, red, green, and bell) mangos, papaya, kiwi, and of course oranges, are foods rich in Vitamin C. Nascent iodine is also important for immune health, as well as raw organic garlic. Manuka honey is a well known antibacterial agent. Look for UMF potency higher than 10 for efficiency. I would also add to the list colloidal silver and grapefruit seed extract as two of the best natural antibiotics available. contaminated with a monkey virus. Just some food for thought. Our bodies were created with innate intelligence and the ability to heal on their own, with proper nutrition and care. Diseases "die off" on their own (plague, polio etc.) without the need for vaccinations that contain harmful substances. This is one of the most effective tools for balancing body, mind, and spirit available on the planet. It reduces stress as it harmonizes the emotional body. 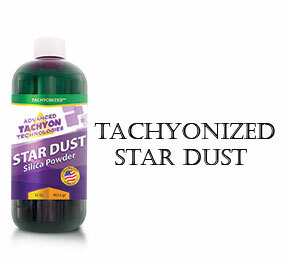 this is one of the most popular Tachyon products because of its profound effects on the "whole being." The Tachyonized Cocoon surrounds you in a 3-dimensional, life enhancing sea of Tachyon energy. This directed flow facilitates profound balance and transformation for your whole being. It promotes integration of the physical, mental, emotional, and spiritual energy bodies, leading to an experience of calm, centered clarity. It feels great while enhancing healing that takes place at all levels of your being. Tachyon Cocoon = An experience that reaches into another realm of wellness. A healing crisis is in effect when the body is in the process of elimination, with reactions ranging from mild to severe. One should expect this and work towards it. The body's inherent desire is for perfect health and we have the ability to earn our way back to this state. The body must go through a elimination process to achieve this state of good health and wellness. There will be ups and downs - good days and bad days, as one does not progress into immediately into good health. The elimination process can just as easily be referred to as the "healing process." A healing crisis results when all body systems work in concert to eliminate waste products and thus set the stage for regeneration. During this regeneration, old diseased tissues are replaced with new healthy tissues, and this does take some time. A disease crisis on the other hand, is not a natural one and works against the body's natural processes of working towards wellness. Symptoms during a healing crisis may be identical to the disease we are in battle with, but with one important difference - ELIMINATION. A cleansing and purifying process is underway and stored wastes are now in a free flowing state. At times the pain and discomfort during the healing crisis can be just as bad as the disease itself, hence at times brief flare-ups in your condition. The crisis will usually bring about past conditions in whatever order the body is capable of handling them at that particular time. People often forge the disease or injuries they have experienced in the past, but are quickly reminded during the crisis. Various reactions may include; skin eruptions, nausea, headache, sleepiness, unusual fatigue, diarrhea, head/chest cold, ear infections, boils, or nay other way the body uses to loosen and eliminate toxins. The length varies, but on average the crisis usually lasts about three days. If your energy is extremely low going into the crisis it may last a week or more. The body needs juices, and especially water to help carry off the toxins. This is also a time for rest, both mental and physical. Also depending on the severity of the original disease/illness, one crisis may not be enough for a complete cure. If you are in a chronic state of dis-ease or have gone through many disease processes in then course of your life, you quite likely will go through additional crises with each one getting less severe. Often the crisis will come after one feels his very best, setting the stage for the "healing process." Many people will feel an energy boost in the initial stages of a therapy, then toxins get released into the blood stream and system for elimination. Go as slowly as your body needs to so that your elimination is gradual and as comfortable as possible. As mentioned earlier with more serious issues there may be many small crises to go through before the final one is possible. everything must be considered and given its proper place in the build-up to complete healing. One should expect and work towards it. DON'T GIVE UP TOO SOON - JUST BEFORE THE HEALING MIRACLE HAPPENS - ALWAYS REMEMBER - HEALING IS POSSIBLE EVEN WHEN A CURE IS NOT! !